How does it feel to win a huge lottery and become super rich overnight? People try and imagine that, but few will ever actually know. Fred Brown however, is about to find out. He purchased a single Power Ball ticket and now, as he compares the numbers on his ticket to the winning numbers, his hands began to tremble as it starts to register; he was holding a lottery ticket worth 89 million dollars. He squeezed the ticket tightly as wild, happy thoughts filled his head, completly unaware it would only be a few days before greed and evil would intervine. It wouldn't be long before Fred and his family would be wondering if this wonderful dream come true wasn't actually a dreadful nightmare from which there was no escape. 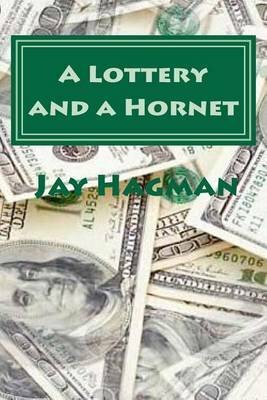 A Lottery and a Hornet, is an entertaining and exciting story that plunges a nice guy and his family deep into the quicksand of greed and desperation. It is a compelling tale of good vs. evil that will fasinate anyone who has ever fanaticized about winning a big lottery, complete with an ending that will shock and surprise.